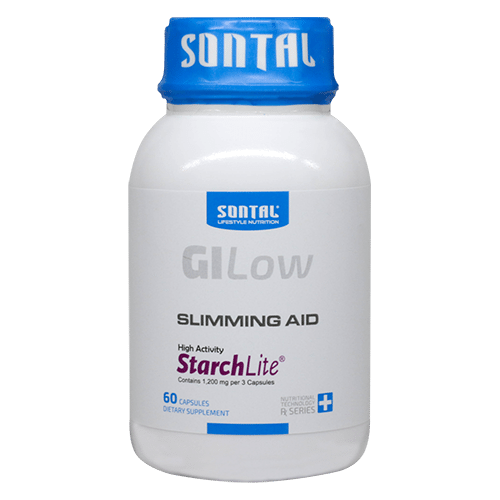 SONTAL GI Low StarchLite® for Carb Control is made of all-natural white bean extract, which decreases the digestion and absorption of carbohydrates, to help you prevent weight gain. Although you love carbs, you have to avoid eating some of your favourite foods to prevent weight gain. Relax your strict diet. Use SONTAL StarchLite® to reduce the impact of calories. You can eat more of your favourite foods without feeling guilty. The caloric impact of sugars resulting from starch digestion is reduced. Conversion of sugars coming from starch into fat is lessened. Weight gain from starch in meal is limited.